As the number of children diagnosed with autism spectrum disorders continues to increase, the one thing that won’t change is the need for those children to develop social skills. Statistics show that if these students are able to communicate effectively, they can achieve success in the classroom, and later, in the workplace. In addition to the challenges facing each individual student, educators find themselves facing dwindling resources. Now, researchers at the University of Missouri are developing an effective social competence curriculum, with a virtual classroom component, that could help educators meet the demand of this growing population. The topic of regressive autism has attracted considerable research interest in last 15 years, in part due to the interest in the link to vaccines. Other terms used to describe regression in children with autism are autism with regression, autistic regression, late-onset autism, and acquired autistic syndrome. Studies suggest that nearly 25 % of children with autism have experienced some level of developmental regression. Unfortunately, there is no standard definition for regression, and the prevalence of regression varies depending on the definition used. In general, regressive autism is evident when a child appears to develop typically but then begins to lose language and/or social skills, typically between the ages of 15 and 30 months, and is subsequently diagnosed with autism. Some children lose social development rather than language, while some lose both. Therefore, language might be preserved but social interaction significantly impaired. Skill loss may be quite rapid or slow and preceded by an extended period of minimal skill progression. The loss may be accompanied by markedly reduced social play and interaction, repetitive behaviors, or increased irritability. 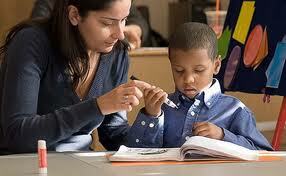 Following the onset of regression, the child follows the standard pattern of autistic neurological development. There is some research to suggest that regressive autism is early-onset autism that was recognized at a later date and that if there is a regressive phenotype of ASD, it is not characterized by normal or near-normal pre-loss development. In fact, research suggests that many children identified with regressive autism had some delay in communication and social skills prior to onset. Likewise, there was is no evidence that the onset of autistic symptoms or regression is related to measles-mumps-rubella vaccination. However, there might be an early vulnerability in the development of the nervous system and that these children weren't developing normally. Although the phenomenon of regressive autism is poorly understood, best practice requires that any child who presents with the “red flags” of autism be screened and if indicated, provided with a comprehensive developmental assessment. A complete guide to screening and assessment for ASD is available from A Best Practice Guide to Assessment and Intervention for Autism and Asperger Syndrome in Schools.